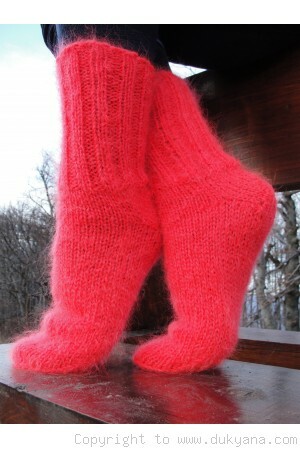 A pair of warm and soft mohair socks. Suitable for everyday use at home. Size is given in inches and centemeters to avoid misunderstanding. Please remember that socks give a little and fit larger shoe size. Please measure your foot length to decide on the socks size.